Saint Vincent Pallotti (1795-1850) was a Roman priest who, through his profound spiritual life, his numerous apostolic activities and his consequent realization of his prophetic vision of the apostolate, had a considerable influence on the history of the Church of the 19th century. He lived in a time in which the foundations of the modern world and of a new socio-political order were laid. The ideas of illuminism, the turbulence of the Napoleonic period, the birth of the so-called worker question which blossomed with the publication of the “Communist Manifesto”, the liberal tendencies, the national movements in Europe and the development of mass printing were only some of the events which characterized the times of Saint Vincent Pallotti. Pallotti saw the problems which were attacking faith and the increase of tasks linked to the proclamation of the Gospel in mission countries. In the face of such problems, which the Church had to confront, Pallotti directed his attention towards the urgent necessity of reviving faith and re-enkindling charity among Catholics in order to bring the good news of salvation to all people. In the area of the city of Rome, together with a group of collaborators, he developed a massive structure of apostolic activity. At the same time, he strove to unite and co-ordinate such activity. From this arose the idea of founding a new institution, that is, “the Union of Catholic Apostolate”, to unite all of the initiatives of apostolic activity. In numerous writings, Pallotti develops a global vision of the work of the Church, so that the good news could be carried to all people in an ordered and systematic way. 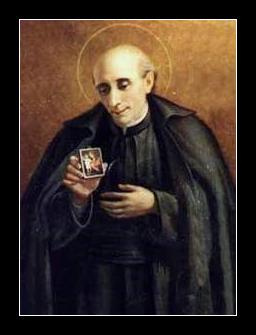 Saint Vincent Pallotti died on January 20th 1850 without having seen the full development of his work. His closest collaborators continued his mission, ensuring further development of the Society. Vincent Pallotti was beatified in 1950 and canonized in 1963 during the Second Vatican Council.